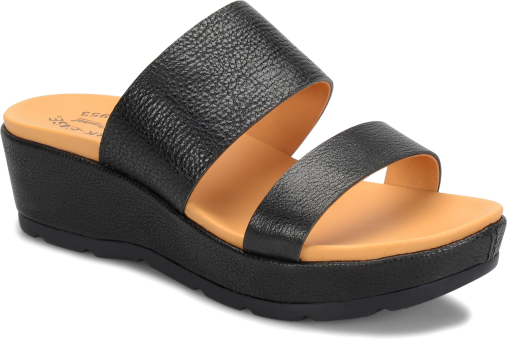 Slide into the soft full-grain leather of this simple, minimalist sandal. 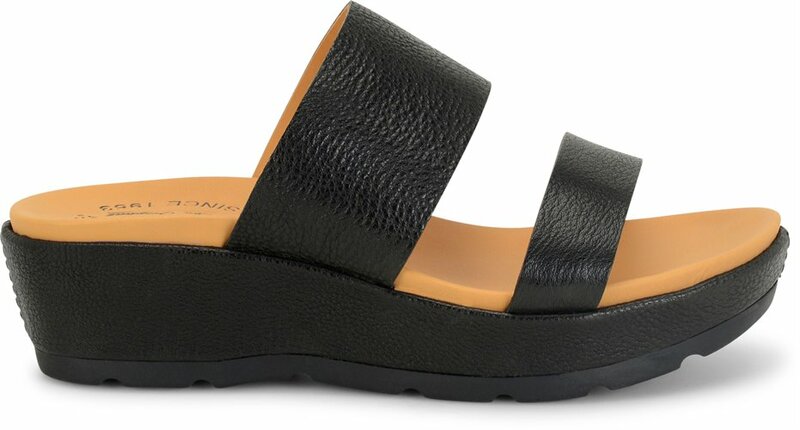 Monochromatic leather was hand-finished to give this modern wedge a dimensional, unique depth. Details, details, details. I have 2 pairs and they are the most comfy slippers I have I can wear them all day long. Love this shoe!! It is so comfortable and it fits great.